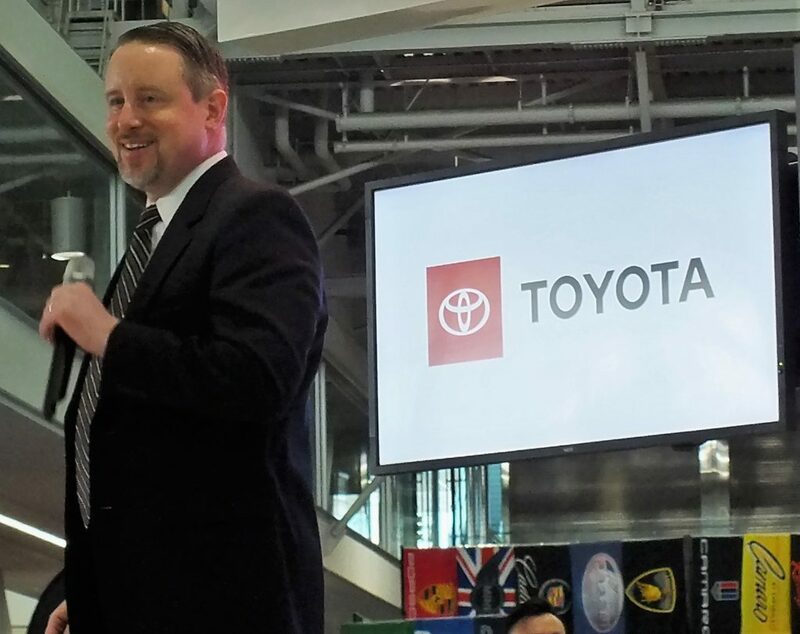 The 2019 New England International Auto Show kicked off today with media presentations from Toyota, Honda and FCA. Toyota provided an overview of the 2019 RAV4 Hybrid, the 2019 Prius AWD-e and the 2020 Corolla. Alex Darling, Toyota Vehicle Product Training Specialist talks about the 2019 RAV4. Now in its fifth generation, the 2019 RAV4 features an entirely reimagined design, enhanced performance and fuel efficiency thanks to the implementation of the new Toyota New Global Architecture (TNGA) platform and two new powertrains. 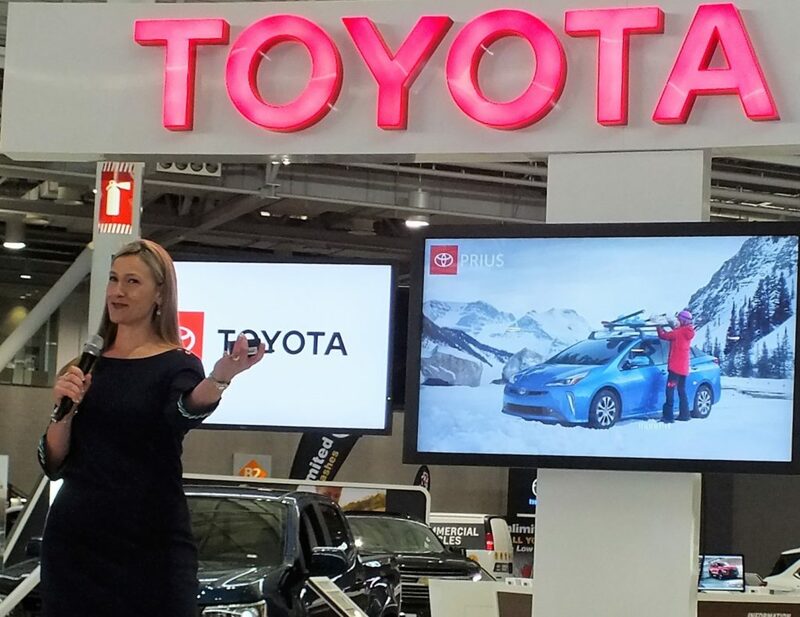 Toyota Vehicle Product Training Specialist, Kristi Pourmousa explains the features of the 2019 Prius AWD-e and 2020 Corolla. Boasting an estimated 52 mpg in the city, the new Prius AWD-e is one of the most fuel-efficient AWD-equipped vehicles in America, now allowing for more adventures outside of the city. The new AWD-e system (“e” stands for electric), provides additional traction in certain conditions including inclement weather, snow or rain, giving drivers the confidence to expand their horizons. 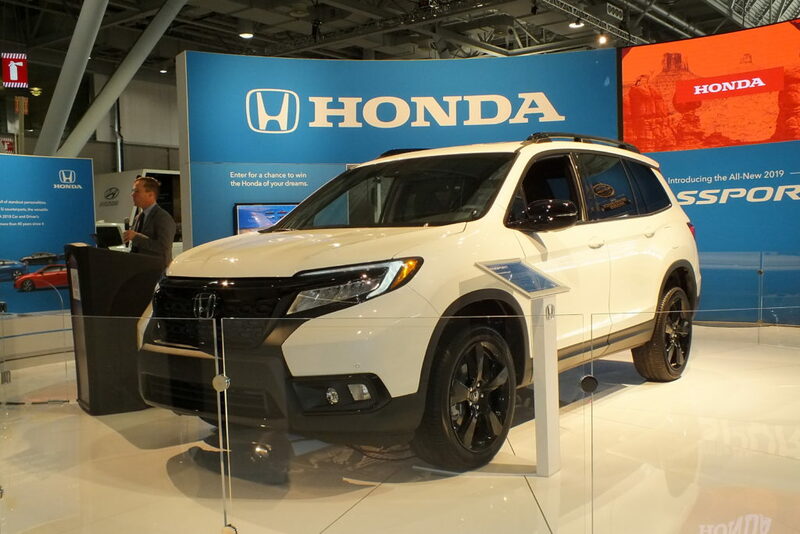 Next up was Honda, who engaged the media crowd with the Northeast debut of the all new 2019 Honda Passport. Carl Pulley, Assistant Manager, National Honda Public Relations detailed the adventure-ready all-new 5-passenger SUV on display at the show. 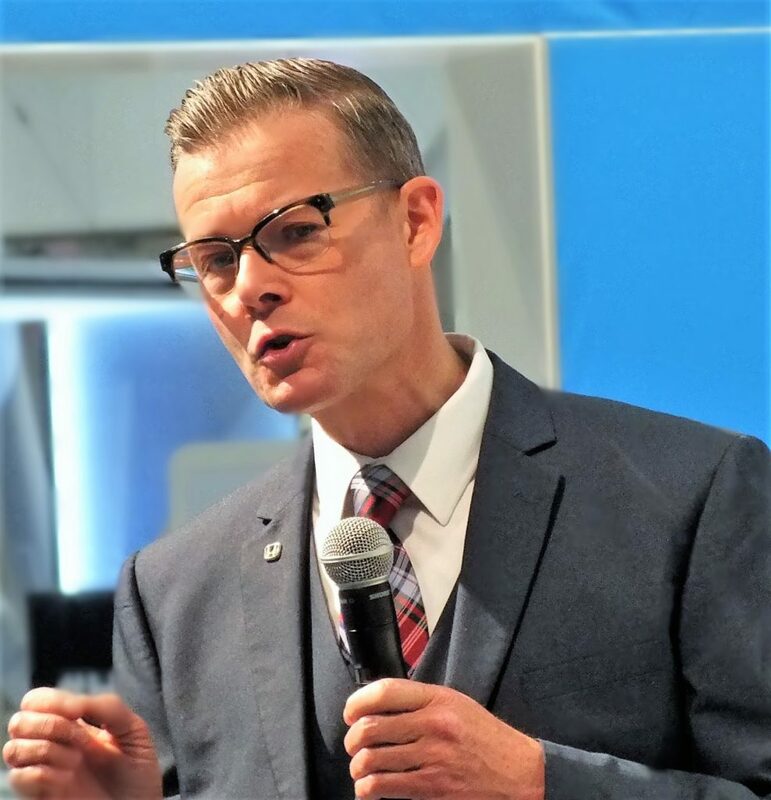 Carl Pulley, Assistant Manager, National Honda Public Relations detailed the adventure-ready all-new 2019 Passport. Going on sale early this year, Passport promises to provide a unique combination of on-road driving refinement and off-road adventure capability along with best-in-class interior space. Wrapping up the press conferences, FCA hosted two – first was the all-new 2020 Jeep Gladiator followed by Ram Heavy Duty. 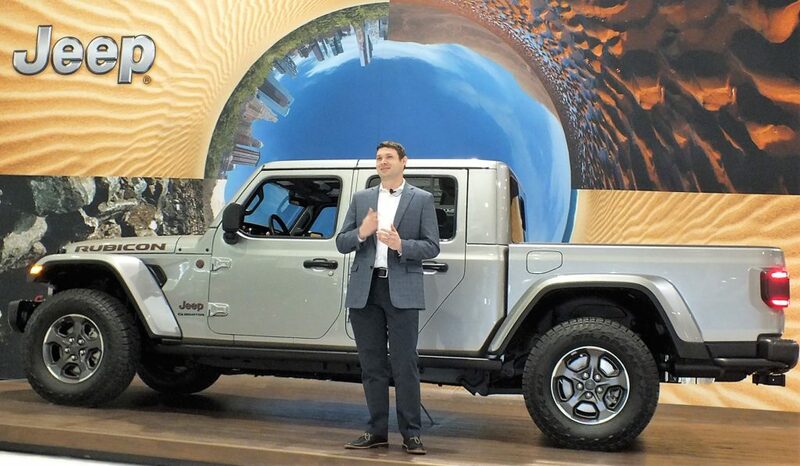 Brandon Girmus, Gladiator Brand Manager enthusiastically details the 2020 Jeep Gladiator. Jim Morrison, head of Ram Brands touted the 2019 Ram Heavy Duty as the most powerful, most capable pickup in the segment with a towing capacity of 35,100 lbs. and a payload capacity of 7,680 lbs. Its torque rating is 1000 lb.-ft. from a Cummins I-6 Turbo Diesel engine. 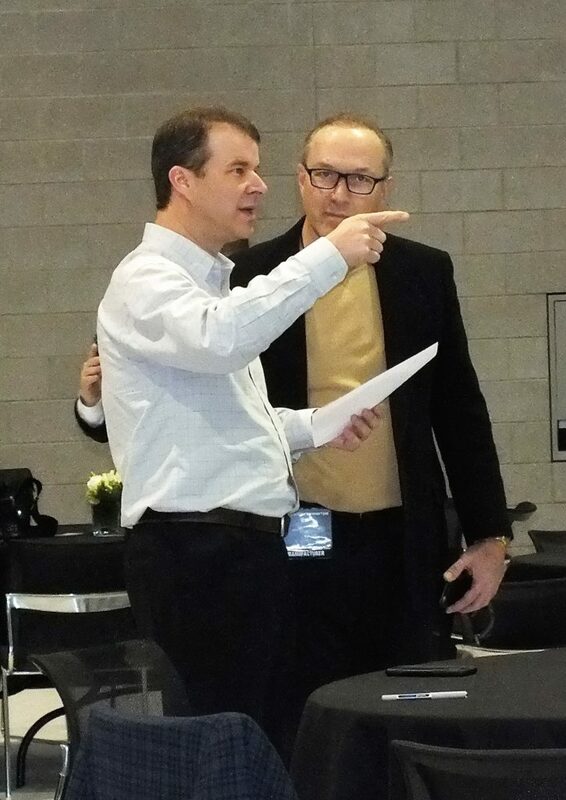 Jim Morrison, Head of Ram Brands prepares to show off the Ram Heavy Duty. Morrison said the new Ram Heavy Duty also sets benchmarks in ride and handling, luxury, materials, innovation and technology extending well past any competitive offerings. 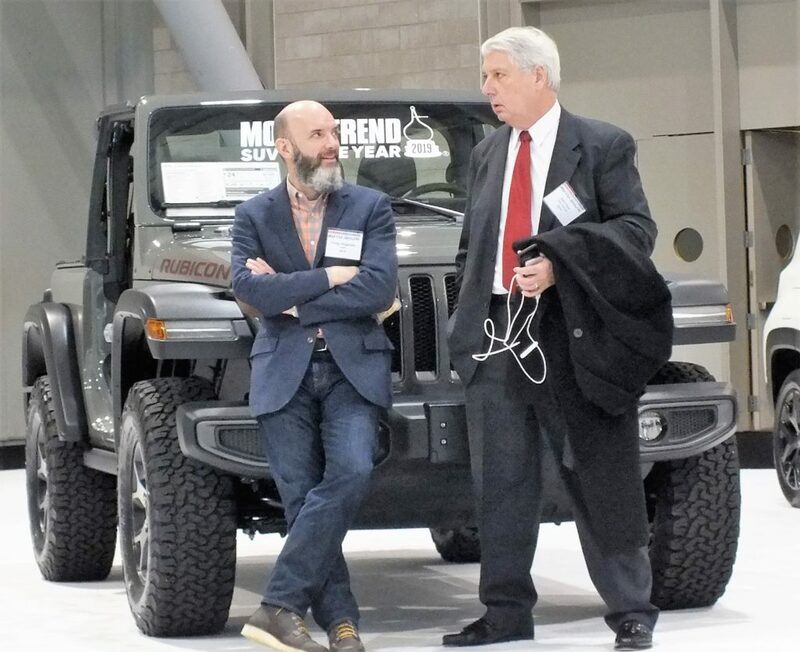 Also spotted at the auto show were former NEMPA President Craig Fitzgerald and current NEMPA President John Paul solving the problems of the world.